August 2, 2017 4:43 pm. THE 2016/2017 racing season had record-breaking performances, champion thoroughbreds, controversy and a rich bevy of highlights and lowlights that makes up the wonderful sport we love. A new season has rolled around, horses have turned a year older and the better runners are starting to come out of the stables in preparation for what promises to be another top spring carnival. Many fans have questioned whether we will see another season like the last 12 months. Darren Weir broke all sorts of records, Chris Waller did his thing in Sydney and champion mare Winx didn’t suffer defeat, but can that all be repeated again? 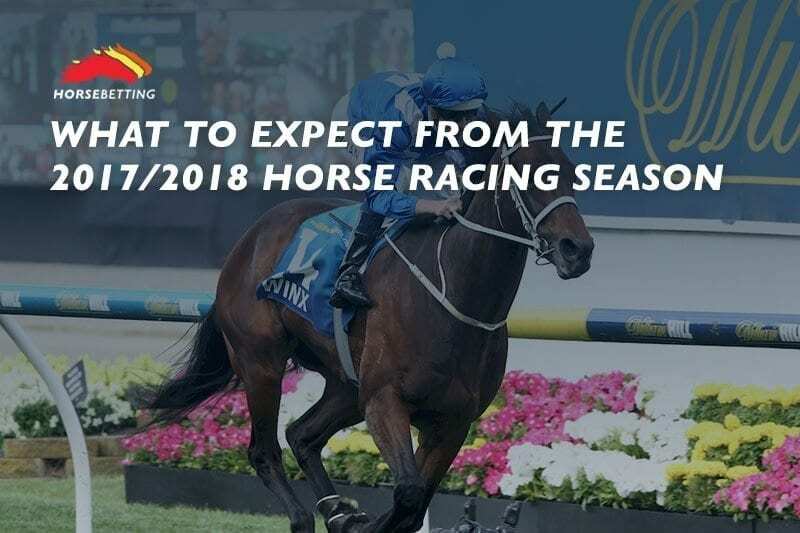 It’s unlikely, but we are confident of a few things for the upcoming season and we have compiled a list of what punters should expect to see during the 2017/2018 horse racing season in Australia. We could talk for hours about just how good Winx is, but punters should be looking forward to what’s to come this season. The champion mare went unbeaten last season and with the intention to stay racing in Australia and not heading overseas, its chances of not being beaten this season looks high. The fact of the matter is that there are no current horses in Australia than can compete with Winx – it has already been proven on multiple occasions, so where does the challenge come from? It’s tough enough to get the top echelon European runners to come to Australia (we get the third and fourth stringers) and it’s even harder to get them to come when facing the might that is Winx. Sportsbet.com.au currently has Winx at $2.25 to remain unbeaten for the rest of 2017, which is actually good value considering it’s currently $1.60 to win the 2017 Cox Plate – its third consecutive. It is unlikely that Winx will be troubled in the lead-up races and only getting a year older would slow it down. If there’s one thing punters can expect this season, it’s that Winx will continue to dominate the race track and break records along the way. If you haven’t heard of Topbetta.com.au then you’re about to. The rising star of the bookmaking world has been making waves with its Global Tote product and punters are loving it. Topbetta offers its Global Tote service on numerous meetings every week and all the major metropolitan meetings are covered. What does Global Tote offer? It offers a bigger betting market and better odds for its punters – which is key to making money when betting on horse racing. Its top price offer ensures punters get the best price offered and it has one of the best websites of any bookmaker in Australia. With an extensive range of betting tournaments, Topbetta will soon become the most talked about bookmaker so sign up and enjoy the new racing season from a bookmaker which knows what the punter wants. We won’t get to see the return of champion jockey James McDonald until next May, but that’s definitely something to look forward to. McDonald has been suspended from riding after betting on Astern in the Surf Meets Turf 2YO Plate in 2015, but he will be eager to return to riding and John O’Shea has already showed his support for the New Zealand rider. Before starting his suspension, McDonald was riding the crest of a wave and he had already accumulated 32 wins and 55 placings from just 162 rides. McDonald was so successful he had the “Back Weir drink beer” type of hype with punters and that shouldn’t change when he comes back. If his weight is under control upon his return, expect James McDonald to redeem himself in the saddle. Poor pun aside, The Everest has the potential to be one of the biggest races this season, but reality threatens to derail any dreams of grandeur. The reality is The Everest is just a race for the wealthy studs and owners to exercise their power. That’s certainly not the Australian way and it’s a real shame that this concept has turned into a rat race. Remember the story behind Apache Cat? How rare it is to see a story of that magnitude in this day and age where a relative nobody in the racing game can take on the world with one of the most striking horses in our time. The Everest will no doubt attract punters to watch the race, but the deflated feeling after the race will be sure to come. There’s just no history attached, there’s no feel-good stories, there’s no genuine atmosphere. No-one in the local TAB’s are talking about which runner will win The Everest. We tip our hats to the NSW racing industry for trying to compete with the Melbourne spring carnival, but we know which races we’d rather be watching. The measure of success of the Melbourne spring carnival is to see how many international runners it can attract, but sadly that approach is killing our greatest race. The Melbourne Cup, whilst a great race year in, year out, is becoming a clustered field of horses many Australian punters have never heard of. There is nothing wrong with having a strong international contingent, but there needs to be a limit. We can’t be accepting any old European hack with a hurdle win under its belt – that’s simply not good enough to make it into such a rich and iconic race. Aidan O’Brien came over in 2008 with a team of three runners (Septimus, Honolulu, Alessandro Volta), but were they all winning chances? Of course not – two of them were used as pacemakers for the well-fancied and ultimately disappointing Septimus. Aidan O’Brien aside, some of these European imports do stack up well in Australia, but as a punter in the Melbourne Cup, I’d like to know who some of them are. These aren’t the top stayers in Europe – in fact they don’t even come close. We’d love to see more Australian and New Zealand runners in the field and perhaps the selection committee could take local form over international form. The biggest shame in racing at the moment is the sale of our top quality colts to stud. Punters can expect to see another top crop of colts be shipped off to stud and they don’t even need to win a race in order to do so. The likes of Flying Artie and Extreme Choice are just two examples of the many talented juveniles which were sent to stud before their careers could really take off. We completely understand why it’s happening. The money is more lucrative at stud and colts can often show plenty in their youth before going completely off the boil, but it’s not fair on the punter. Exciting horses is what brings us back to the track and although we’re happy to bet on a maiden at Wodonga, we’d much rather watch a thoroughbred that we know could represent Australia at Royal Ascot, Dubai or Hong Kong. Sadly it’s not happening and punters shouldn’t expect a change in the 2017/2018 racing season. Never have punters had so much variety when it comes to betting on horse racing. There are so many bookmakers to choose from that punters can make informed decisions as to where they place their money. Bookmakers are no longer working together to produce the same odds, but they’re not competing against each other to ensure their product and their odds are the best offered in Australia. That’s great news for horse racing punters and you can rest assured our recommended bookmakers will give you great sign up, bonus bet and enhanced odds deals for the upcoming season.